Beer lovers living in northwest Indiana homes can enjoy local brews close to home at Crown Brewing in Crown Point. The brewery was founded in 2008 by Dave Bryan and Tim Walsh. They revived the Crown Brewery name, which had been dormant since the original brewery closed down in 1916. The new Crown Brewery quickly established itself as the place to go for fun with friends and excellent beers. Plan a girls night out on the first and third Tuesday of every month for Ladies Night. Each woman gets a free appetizer of bread bullets, fried pickles, mac and cheese bites, mozzarella sticks, or beer battered mushrooms. Get a team together and come for Trivia Night on the second and fourth Wednesday of each month. Have a pint of the Usual Suspects brew at a dollar off the usual price. Come in any day for a beer flight. A seasonal flight of six 4 ounce pours is $9. 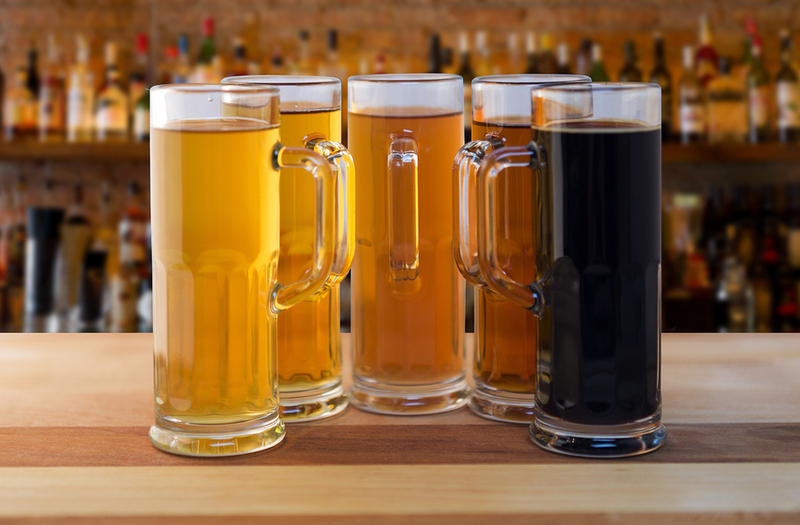 Try six snifter beers fro $19. Crown Brewing has become a great community partner around northwest Indiana homes. In addition to their monthly events, they also sponsor a Leprechaun Fun Run in March, close to St. Patrick’s Day. This year, it will be held Saturday, March 12th. The Crown Beer Fest is another much-anticipated community event, held on May 14th this year. Crown Brewing is open Sunday through Wednesday from 11 a.m. to 11 p.m. and Thursday through Saturday from 11 a.m. to midnight. Get more information at Crown Brewing online.